My childhood was spent living in suburban Poway, otherwise known as the City in the Country. In my early adulthood, I went from the rolling hills of suburbia, where houses lined the streets in family friendly neighborhoods to the metropolitan lofts in downtown San Diego. The majority of my life has been rooted in what I like to call America’s finest city. 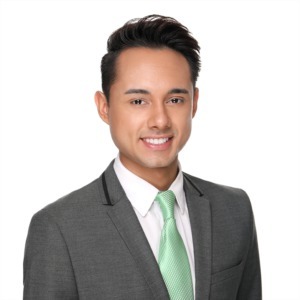 My name is Eric Quintero, and I am the real estate agent who will aide you in locating and acquiring your dream property in California’s most desired residential region. My close attention to detail and exceptional interpersonal skills have already developed in my previous career as a high end fashion personal stylist. Confident and happy customers are of the utmost importance in every transaction I have ever completed. I guarantee that your concerns will always be addressed and your needs met every step of the way. I want your dream property to feel like home and the process to get you into it to be seamless. Whether buying or selling your home I vow to prioritize your needs, be accessible, vigilant and informative. I will aid you in gaining the highest profit if you are selling your home, or help negotiate the best price if you are purchasing. Real estate is considered that largest investment that people make in their life time. Let’s make your property investment together!